Ukraine will end electricity and coal imports in the next 7-8 months as the government continues to cut expenditure, according to a Ukrainian energy ministry. The Ukrainian energy budget for this year doesn’t allow for energy imports the Deputy Minister of Energy Alexander Svetelik said on Friday, RIA Novosti reported. "We hope we will not purchase coal and electric power," he said. Svetelik added that coal imports and power exchange would be possible "in case of emergencies,” such as the disruption of coal supplies from Donbas not controlled by Kiev or problems with operations of other Ukrainian mines. Some 28 million tons of coal will be needed for electric power generation in the current year. Kiev has to accumulate about 3 million tons to survive the winter, according to Svetelik. The deputy minister says Ukraine has almost completely stopped imports of electricity from Russia; however, there will be small amounts of electricity imported as contracted with Inter RAO. 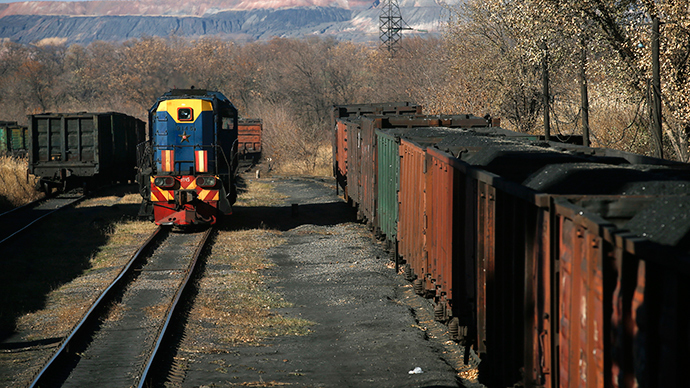 Ukraine’s major suppliers of coal in the first quarter of 2015 were Russia with $153.86 million worth, the USA at $106.4 million and South Africa at $45.14 million, according to data from metalukraine.com. Other countries accounted for $99.81 million. In April Ukraine plans to take around 500,000 tons of coal from the Donbas region, the source adds. In December, Russia and Ukraine agreed on coal and electricity supplies as Kiev was trying to cope with energy problems due to the crisis in the industrial east. The agreement was for some 500,000 tons of coal delivered every month which was facing black outs. A year-long contract provided for a uniform schedule of deliveries of up to 1.5 gigawatts.